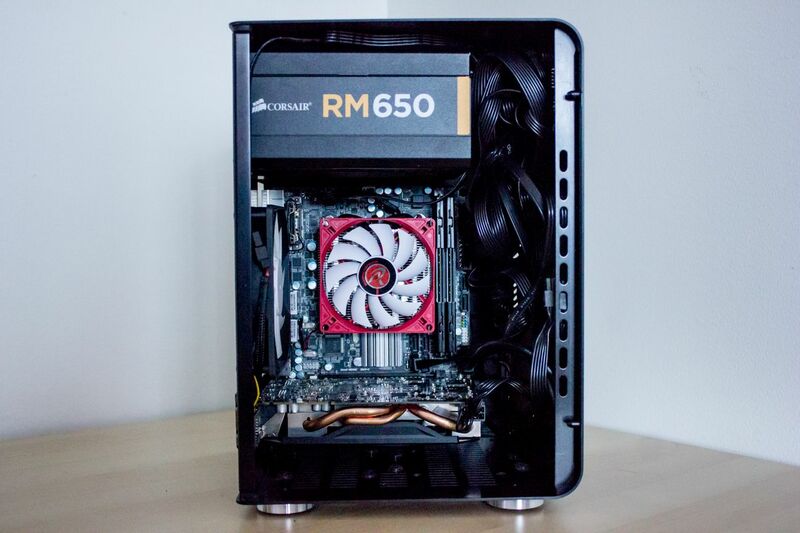 As much as we at Minimalistic PC love small and compact computers, m-ITX based systems are becoming more and more popular, proven by the increased availability of commercial m-ITX sized cases, motherboards and graphic cards. A component that can vary a lot in size and performance is the mandatory CPU cooler which also plays a big role in overall performance of your system. 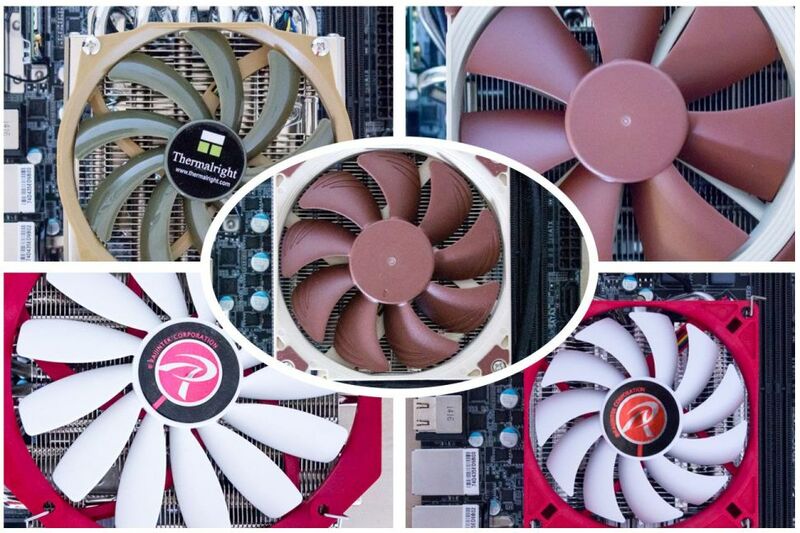 We have therefore decided to take a look and test 5 different low-profile CPU coolers to find out how they perform. Will any of them fit your current or upcoming build? Each cooler will be installed on the same system with only the cooler being the difference. The system will then run a 1-hour round of OCCT (for full constant load) and the temperatures will be monitored and recorded. Because of the lack of professional audio equipment we cannot monitor, nor record, the noise (dB) that the cooler’s fans make. GIGABYTE Z97N-Wifi with an Intel Core i7-4790k and a pair of ADATA 4GB (total 8GB) CL9 1600MHz XPG. Jonsbo U2 with one exhaust fan (120mm) and no intake fans. * By underclocking and turning off Hyper-threading of our Intel Core i7-4790k we tried to simulate an Intel Core i5-4690k. We are aware that this simulation may not represent an actual i5-4690k. ** By using a semi-passive power supply like the Corsair RM650 we are assured that there will be no noise from the power supply during the test sessions. 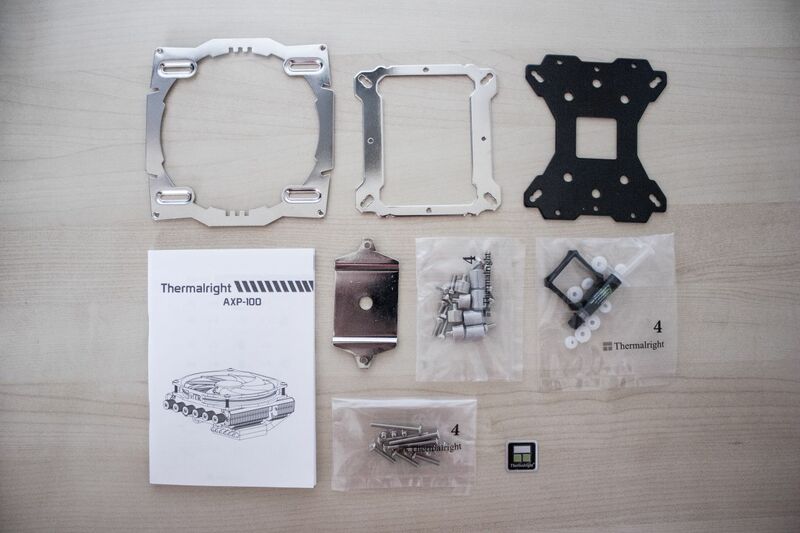 Thermalright AXP-100 comes in a rather unique and industrial looking box. Inside the box we find the content for the installation, a manual, a small sticker, and of course the heat sink and the fan. 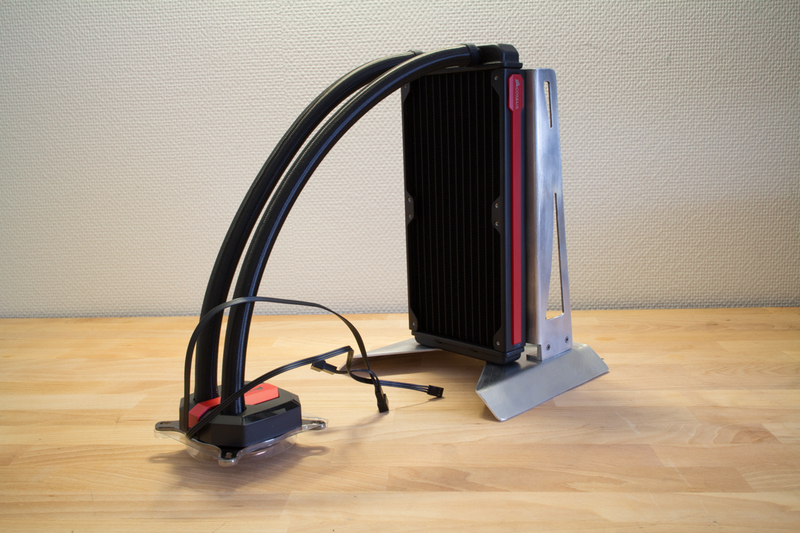 Thermalright AXP-100 is a rather small and compact cooler, but with the aesthetics of larger coolers. 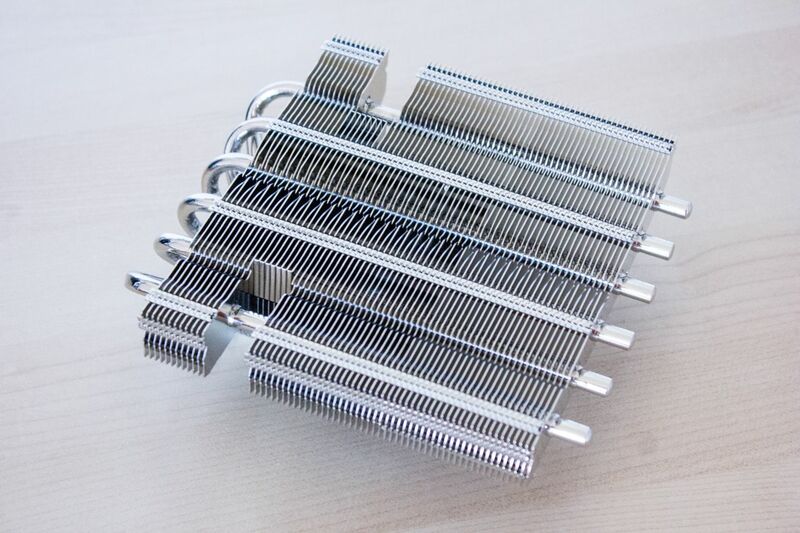 The heat sink has six full nickel plated 6 mm heatpipes while the base of the cooler is made out of pure copper while also being nickel plated. The supplied fan is a TY-100 at only 14 mm thick. 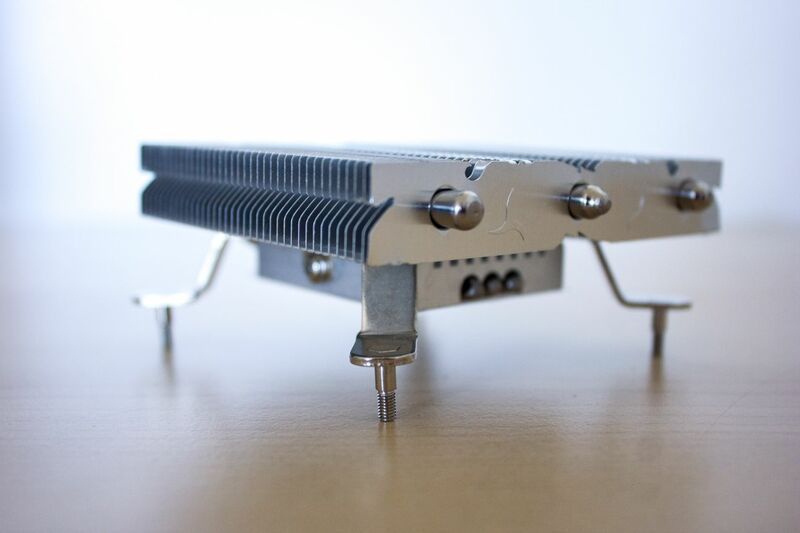 However, the bundled mounting plate and screws allow larger and thicker fans to be installed, up to a 140 mm fan with a thickness of 25 mm, giving the opportunity to upgrade the cooler and it’s capabilities. 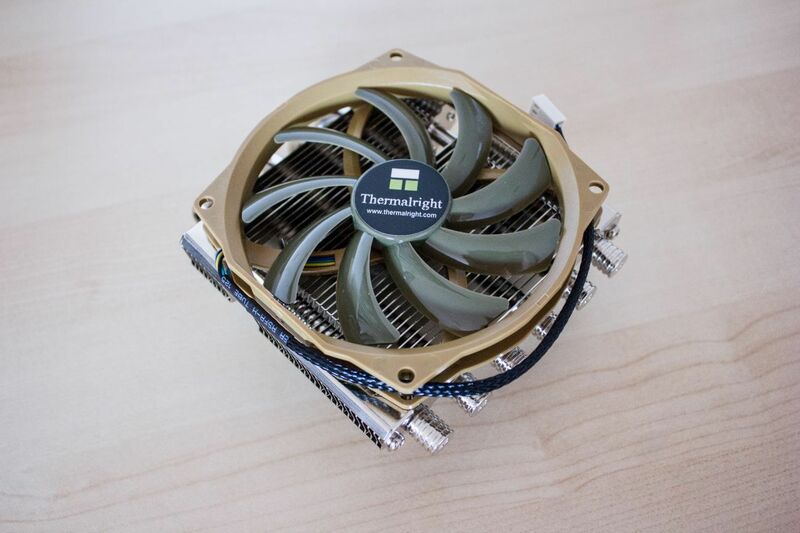 Installing the Thermalright AXP-100 is rather easy, although many steps have to be executed which may be confusing. First of all the backplate and many washers have to be installed and then the screws followed by the rest. The installation is not hard, but requires many small parts which may seem messy. 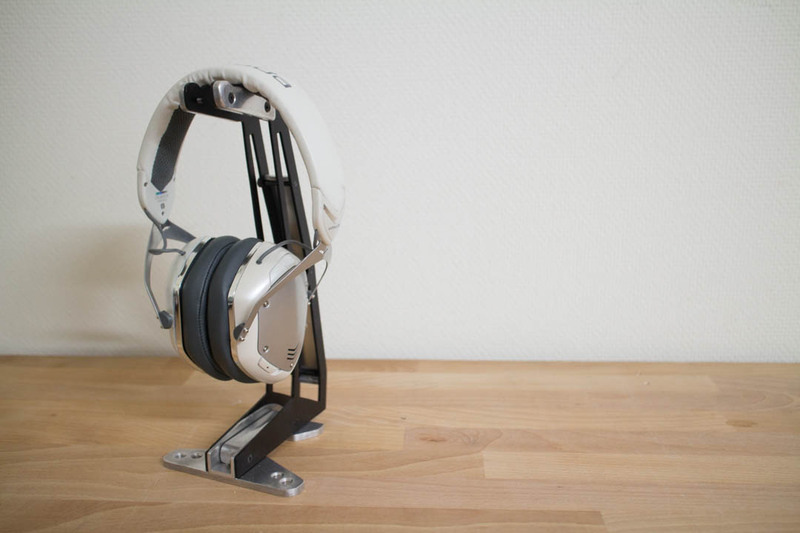 When installed, the AXP-100 feels very solid and steady in its place. The cooler doesn’t interfere with the RAM-modules making large heat sinks on RAM a possibility. 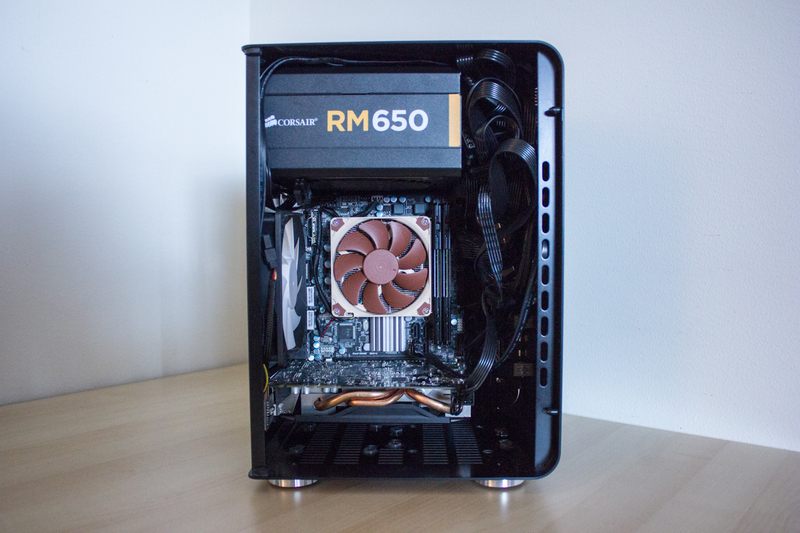 It also has a lot of room around the cooler, making swapping cables or other components on the motherboard easy. The height of the cooler is also rather low, being at 5.8 cm with the supplied fan. Being the smallest cooler in this test, Noctua NH-L9i comes in a rather small and compact box full of surprises – a manual, screws, thermal paste (NT-H1), low-noise adapter and an emblem with the Noctua logo. 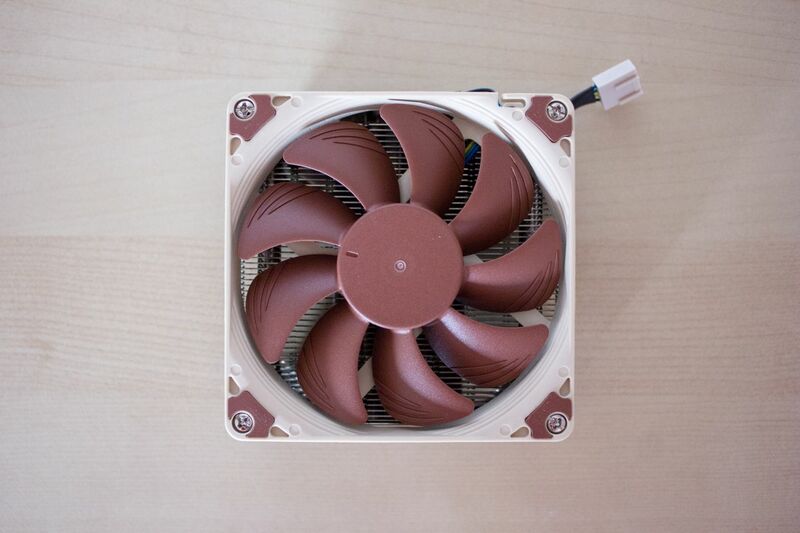 Noctua NH-L9i is a really small and compact cooler, being only 23 mm tall (37 mm with the supplied fan). 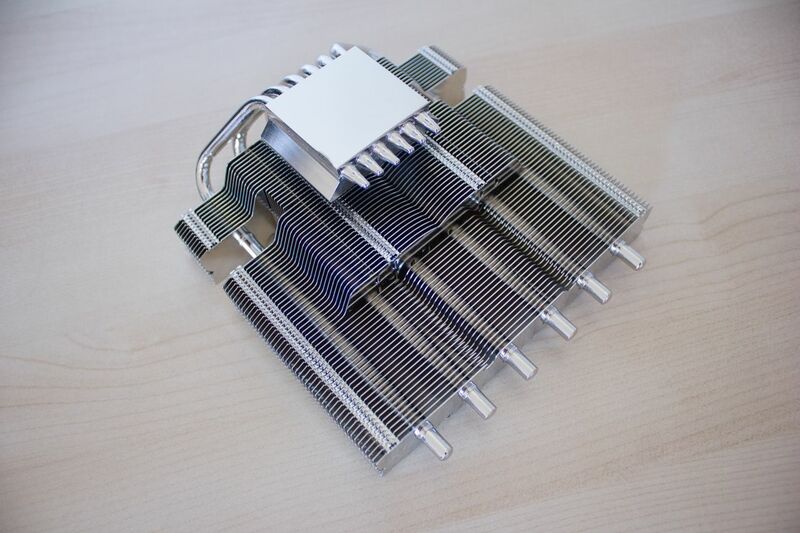 The base and the two heat pipes are made out of copper while the cooling fins are made out of aluminium. 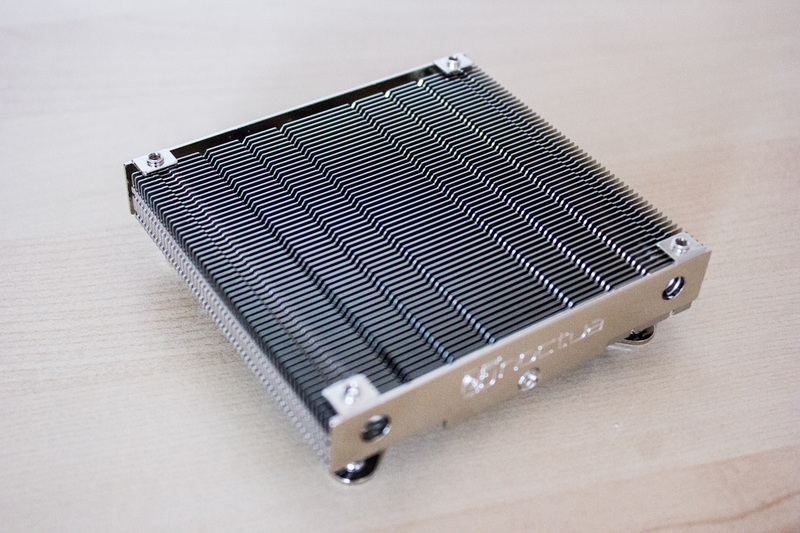 The cooler comes with a NF-A9x14 PWM fan being only 14 mm thick. 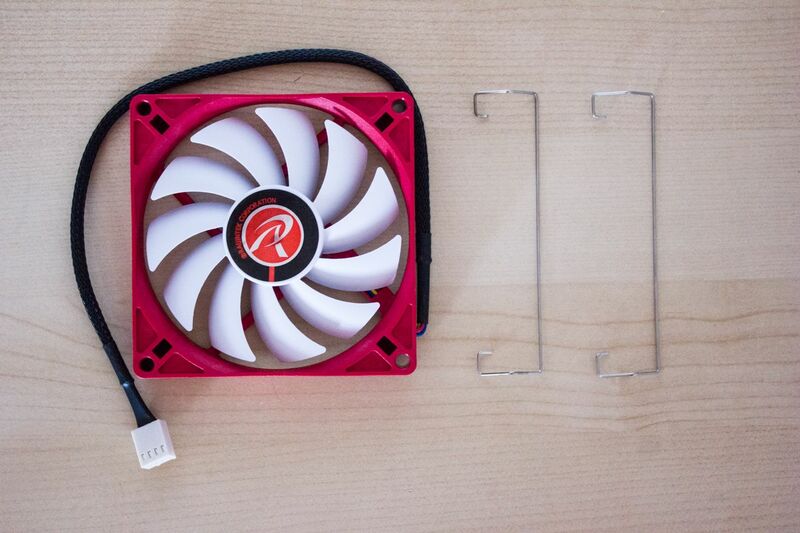 The dimensions of the fan covers the heat sink perfectly, making the cooler and fan look nice together. Although we will use the Noctua NH-L9i for this test, Noctua themselves don’t recommend this cooler for any CPU with a TDP of 65W or above. So keep that in mind. 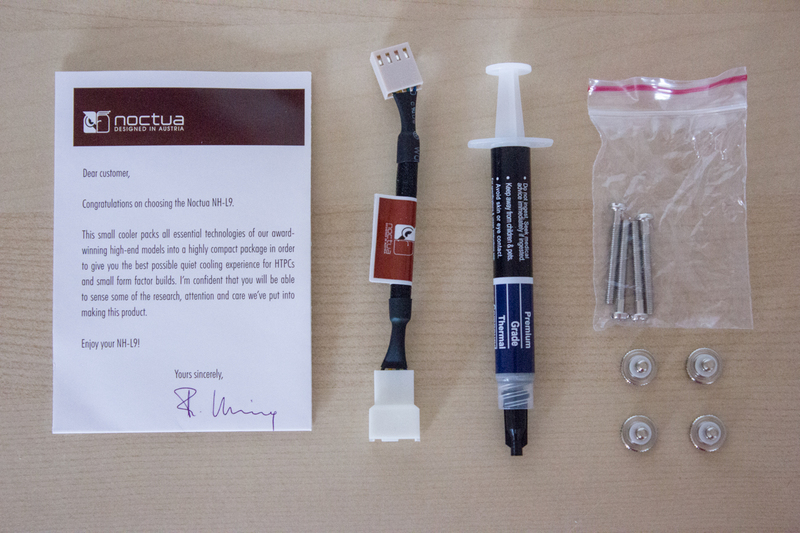 The Noctua NH-L9i is not only a really small cooler, but it’s also very easy to install. No additional backplate is needed since all that has to be done is to pour on the thermal paste, attach the cooler and insert the screws. After installation the Noctua NH-L9i feels very solid and steady. Since the size of the cooler is so small, it doesn’t interfere with any adjacent components, not even the RAM-modules. 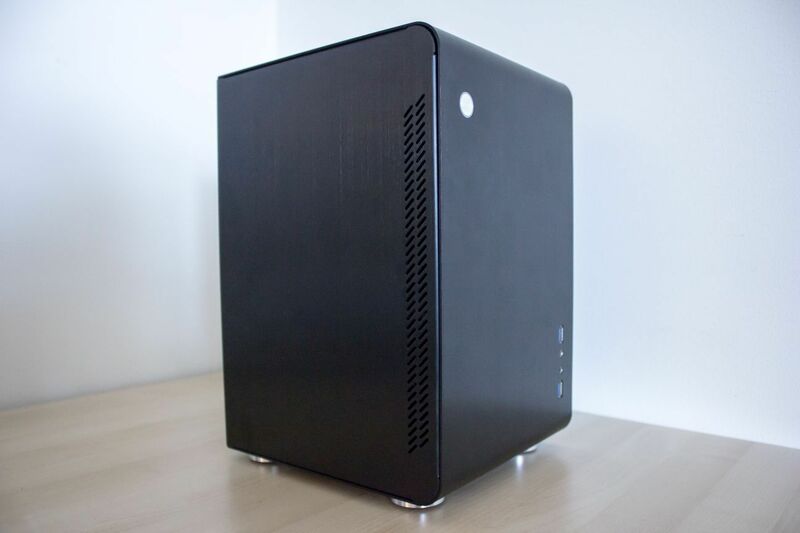 With its low height the Noctua NH-L9i would fit any tight case that has a restricted CPU-cooler height, even those that have the power supply attached on top of the CPU-cooler, such as many Lian-Li cases. 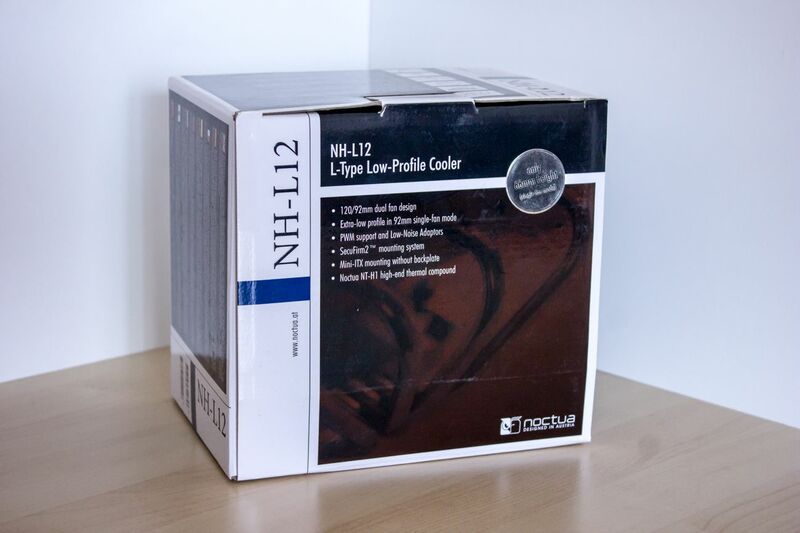 The second Noctua cooler in this test is the NH-L12 which comes in a bigger box compared to the NH-L9i. It also has additional accessories such as a backplate, different screw sets, rubber plugs, fan adapters and splitters and a tool (screwdriver). 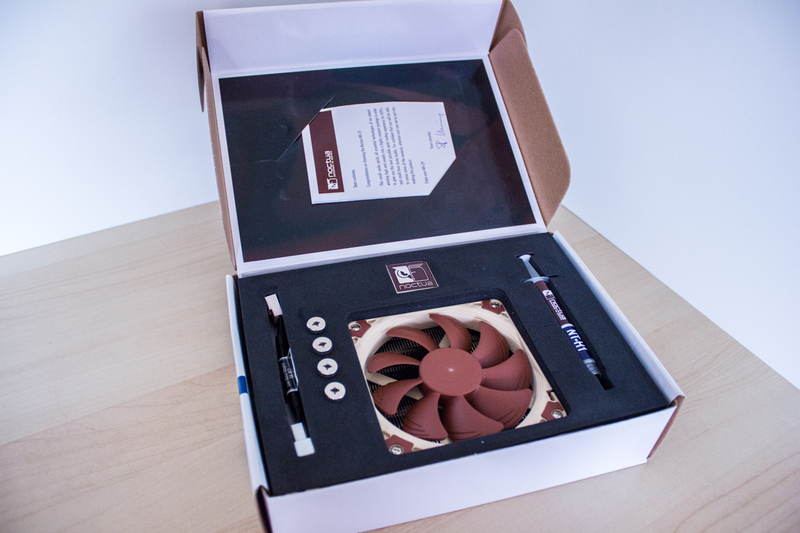 Noctua NH-L12 is a dual fan cooler with the option to run only one of the fans. 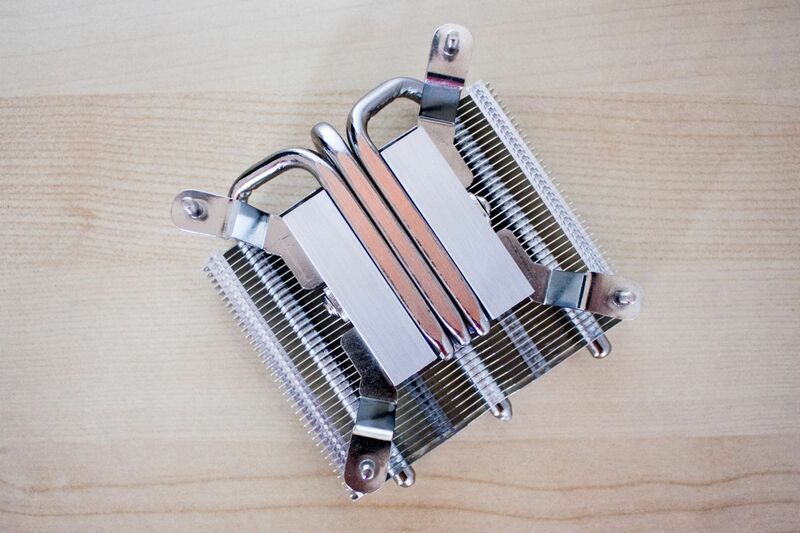 The cooler has 4 heat pipes and a base made out of copper while the cooling fins are made out of aluminium. 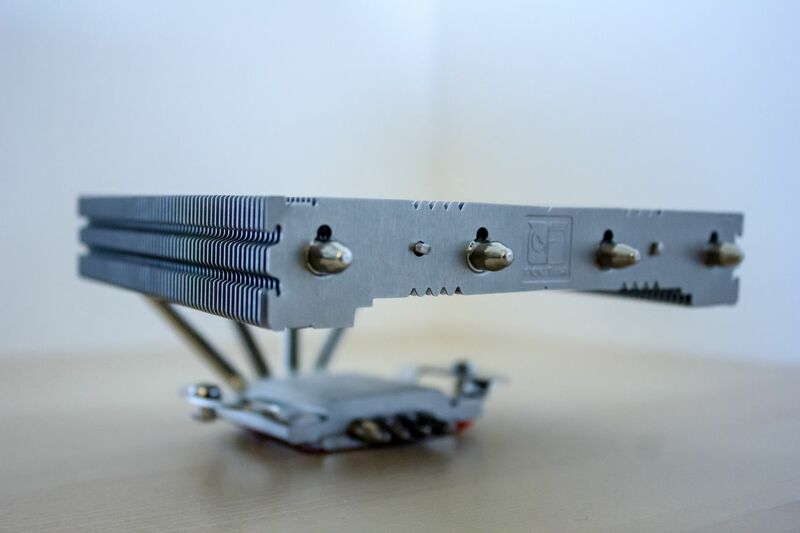 The two supplied fans are NF-F12 and NF-B9, both of which can be installed with the supplied low-noise adapters or the Y-splitter to connect them both to a single fan-header on the motherboard. By choosing which fan combination to use, the total height can be lowered to 66 mm by only using the NF-B9 underneath the heat sink (both fans makes the cooler 93 mm tall). Although the Noctua NH-L12 is a rather big cooler with a lot of accessories, the installation is quite straight forward. Choose the correct mounting set (Intel or AMD) and use the supplied screwdriver. 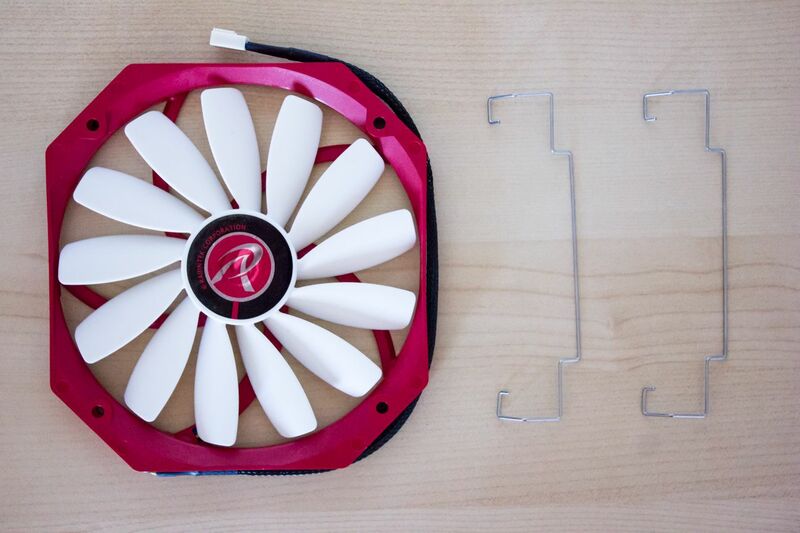 A big plus is that both fans can be removed or installed without using any screws as they are mounted with clips. 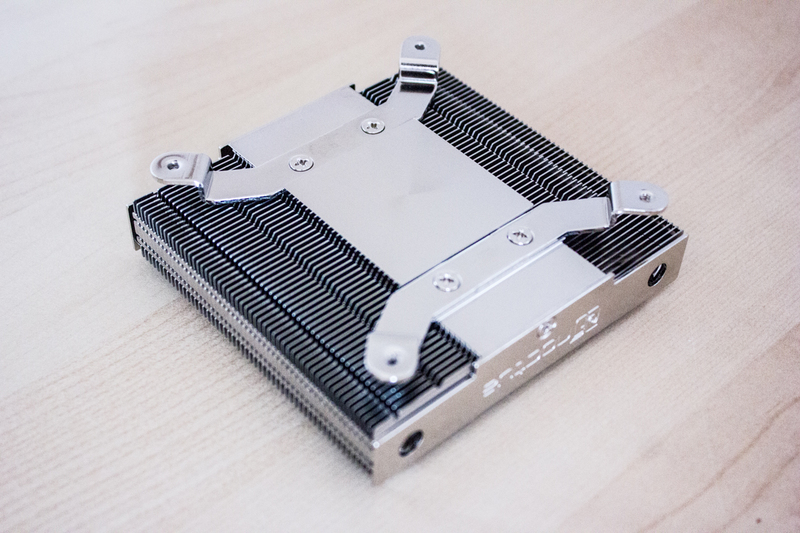 When installed NH-L12 is quite solid although the heat sink feels a little saggy, probably because of the height and weight. 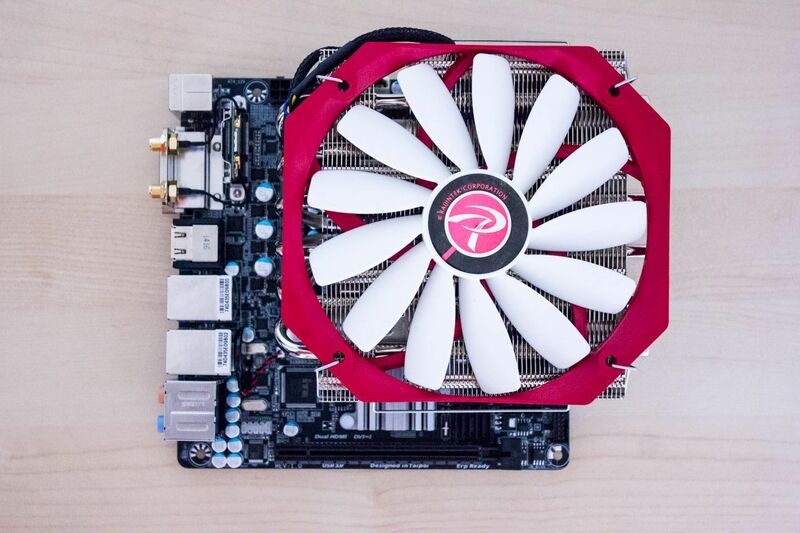 If the smaller fan is installed under the heat sink it may interfere with RAM-modules, depending on their size. In our case the fan did interfere with the RAM, however we were able to move the fan a little bit thanks to the flexible mounting clips and thus making the cooler properly installed. Other than that we had no issues fitting the NH-L12 in our case. 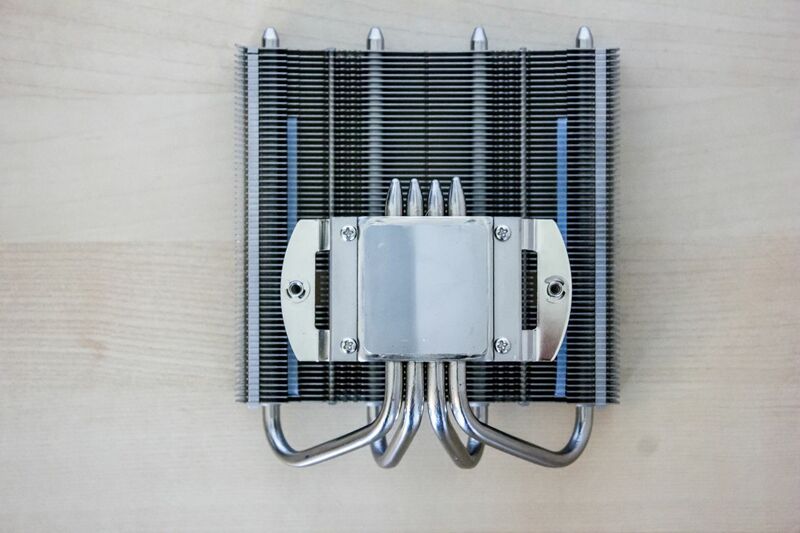 However, beware that swapping fans, motherboard cables or other components around the cooler might be really hard due to the cooler’s size and position. 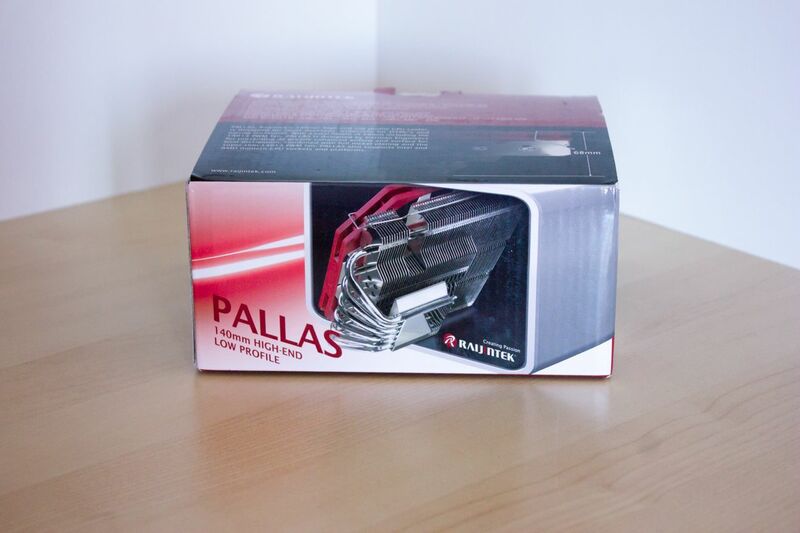 The next contestans is the Raijintek Pallas which has a quite unique color scheme which is also seen on the box of the cooler – white and red. 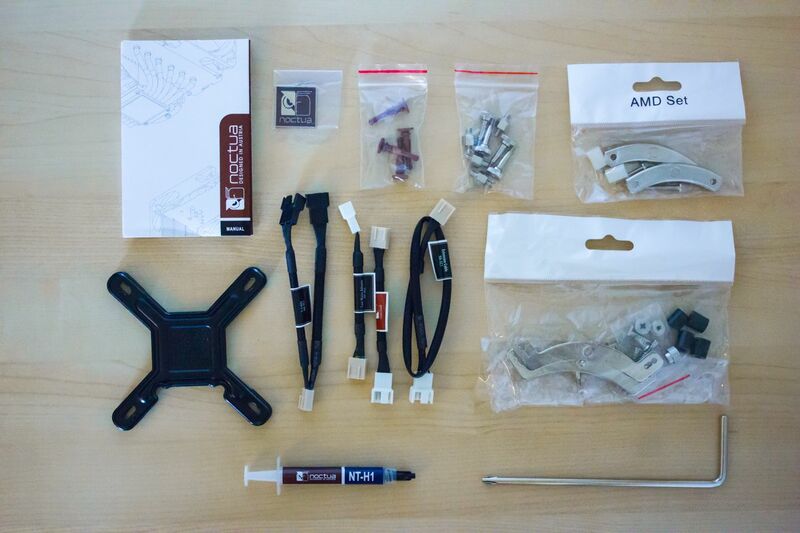 The cooler’s accessories consist of mounting kits for Intel and AMD (using a shared back plate), a manual and a disposable bag of thermal paste. 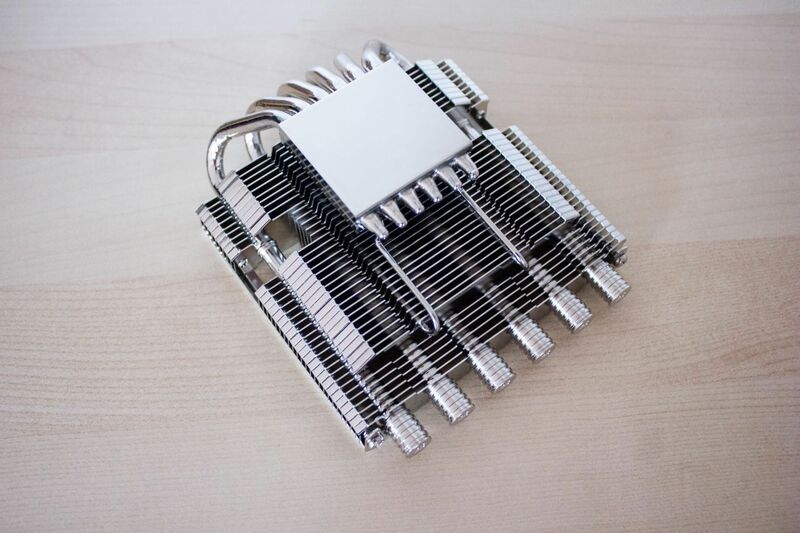 Raijintek Pallas is a rather big but low (54 mm) and nice looking heat sink, consisting of six 6 mm heat pipes and a copper base, all nickel plated. 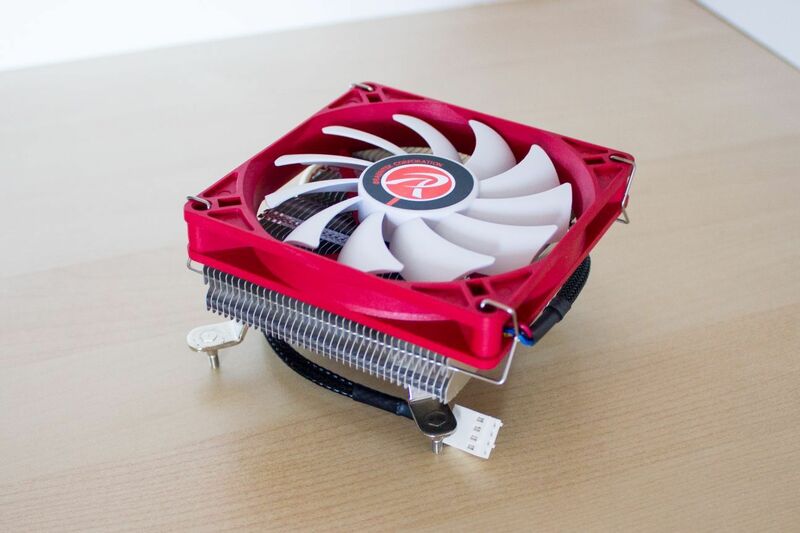 The red and white fan is a 140 mm wide, 14 mm thick fan named 14013 PWM. 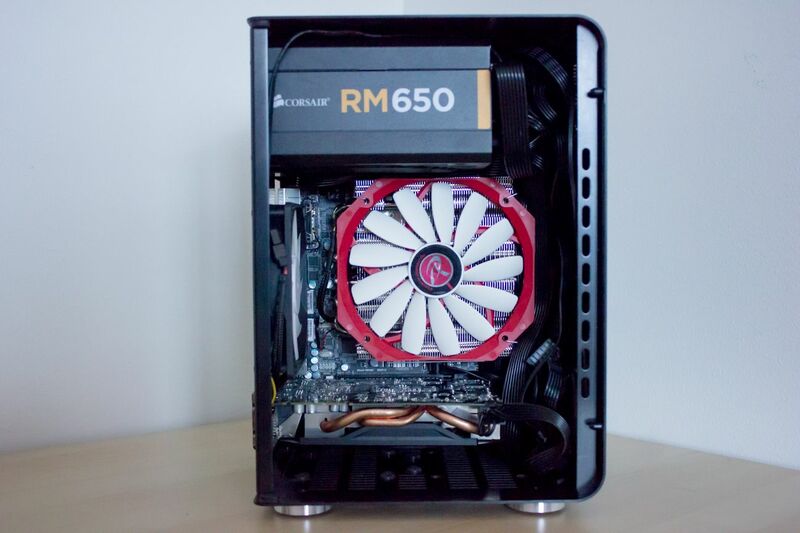 The fan, which is being attached with clips, makes the total height of the Raijintek Pallas only 68 mm which makes it suitable for low cases where cooling performance may be needed. 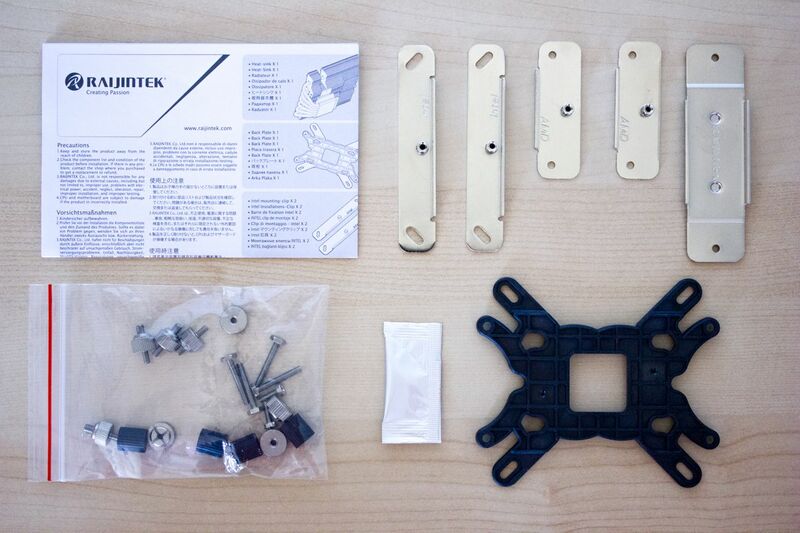 The installation of the Rajintek Pallas begins with installing the mounting platform on the motherboard which is quite easy. 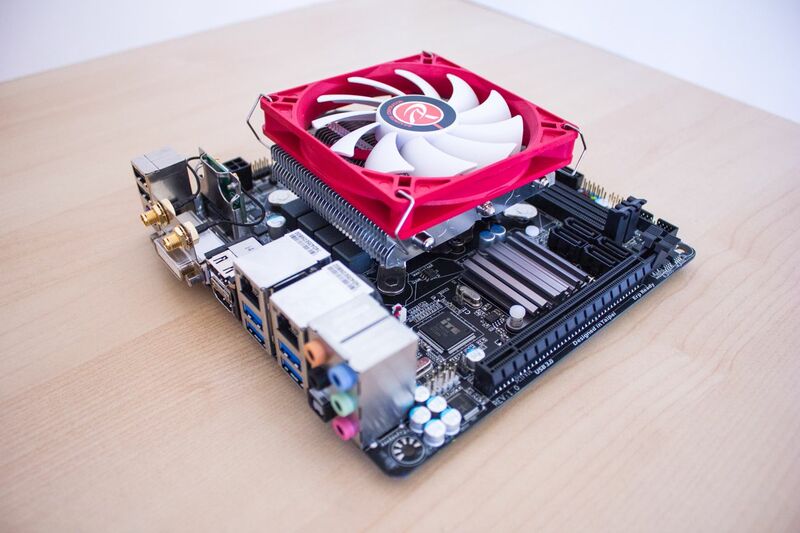 However, securing the heat sink to this mounting platform can be quite messy and hard as the metal part to do this is easily repositioned during the installation, forcing you to start over. Despite this the Raijintek Pallas feels solid and well in place once fully installed. It did not interfere with our RAM-modules nor any other component which was quite positively surprising because of its size, both width and height. 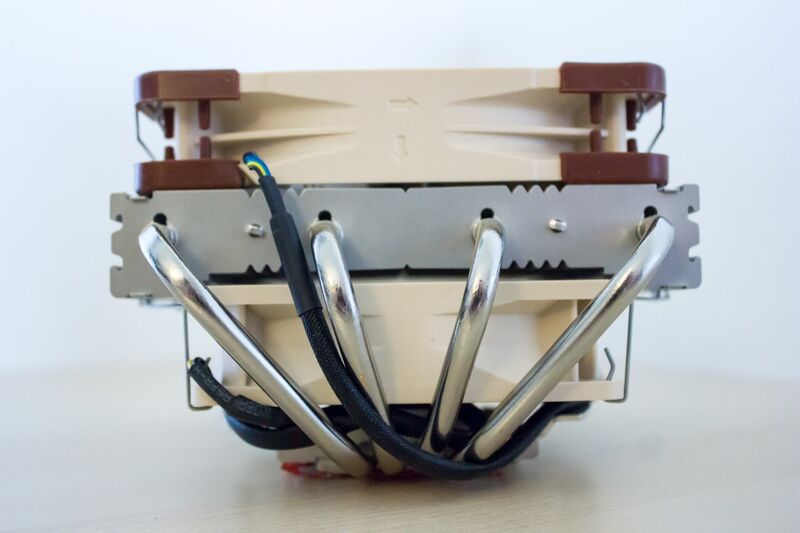 However, as with the Noctua NH-L12 there might be a problem swapping cables or other motherboard components while the Raijintek Pallas is installed, so be sure to do all that before installing the heat sink. The Raijintek Zelos is the second Raijintek cooler featured in this test. It shares the same color scheme and box design of the Pallas. The content is somehow different as the Raijintek Zelos doesn’t need a back plate, but it comes with its own tool and a fan with clips. Raijintek Zelos is another small and compact cooler. It’s the only cooler in this test that doesn’t have a copper base for touching the CPU. 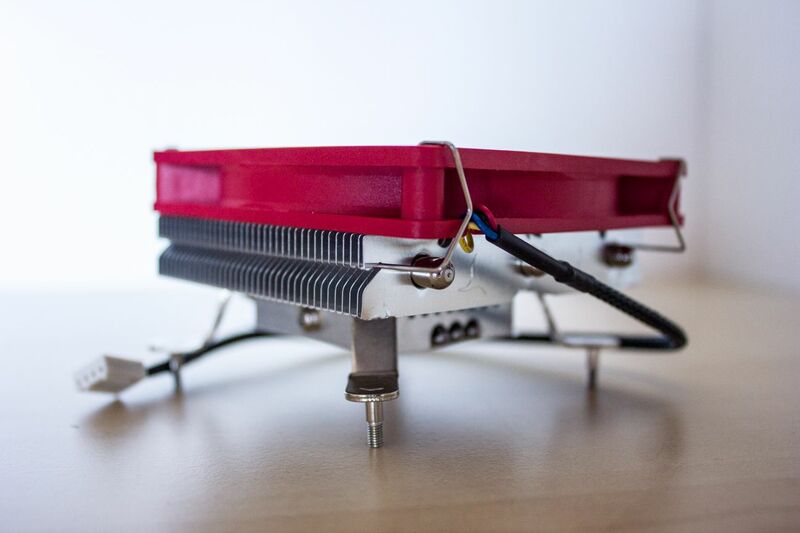 Instead, it has has three direct touch nickel plated heat pipes, as seen on the base of the cooler. Raijintek Zelos is bundled with a 90 mm wide and 15 mm thick fan called 9015 PWM which attaches with clips to the heat sink. It also follows the Raijintek color scheme, being red and white. 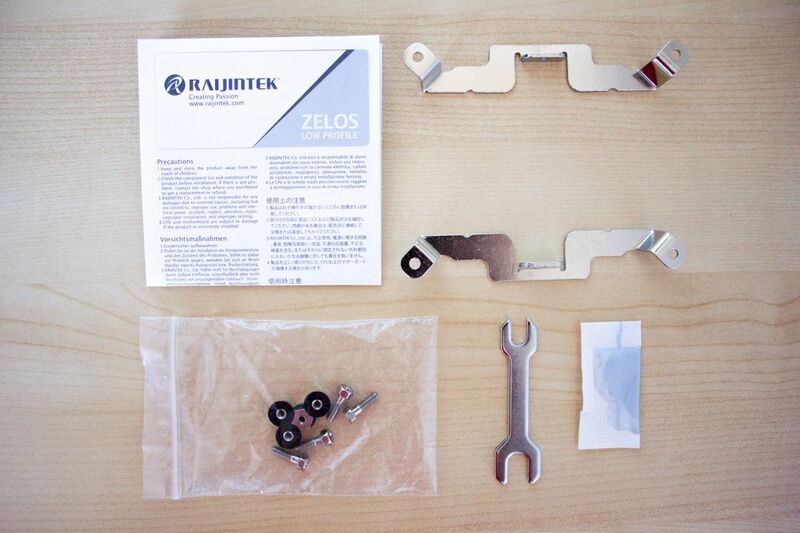 The installation of Raijintek Zelos is very straight forward as it barely has any steps to do so. Just put the heat sink in place and attach the screw-nuts from underneath. However, there were some issues doing this. The screw-nuts were not as tight as they could have been against the back of the motherboard resulting in small gaps between the motherboard and the screw-nut, even though the cooler was installed multiple times to try get it right. We don’t know if this is a malfunction of the cooler or a compatibility issue. Due to the installation issue the Raijintek Zelos didn’t feel very steady. 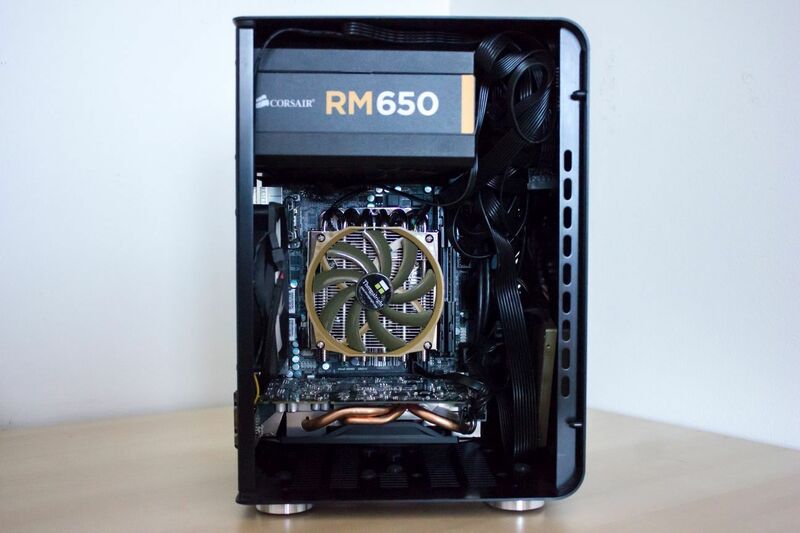 The cooler doesn’t interfere with any other component on the motherboard and thanks to it’s size it can be installed in some very small cases. 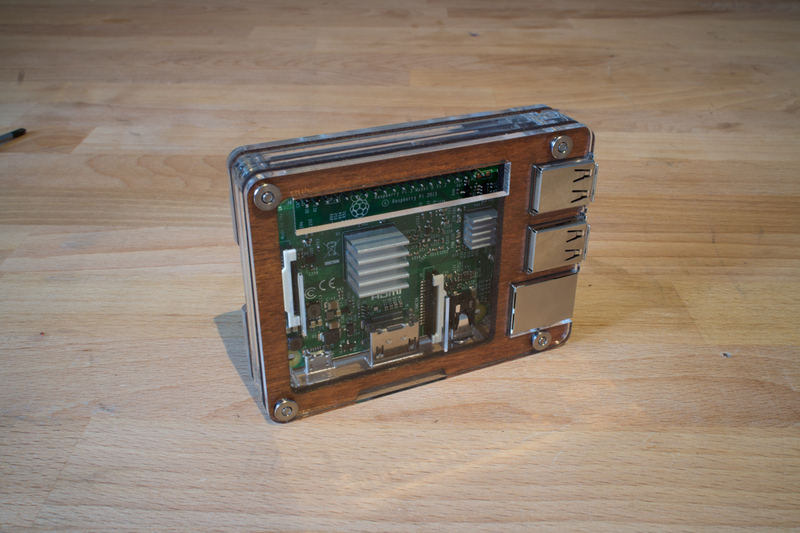 It’s not as small as Noctua NH-L9i or the Intel stock cooler, but it’s small enough. 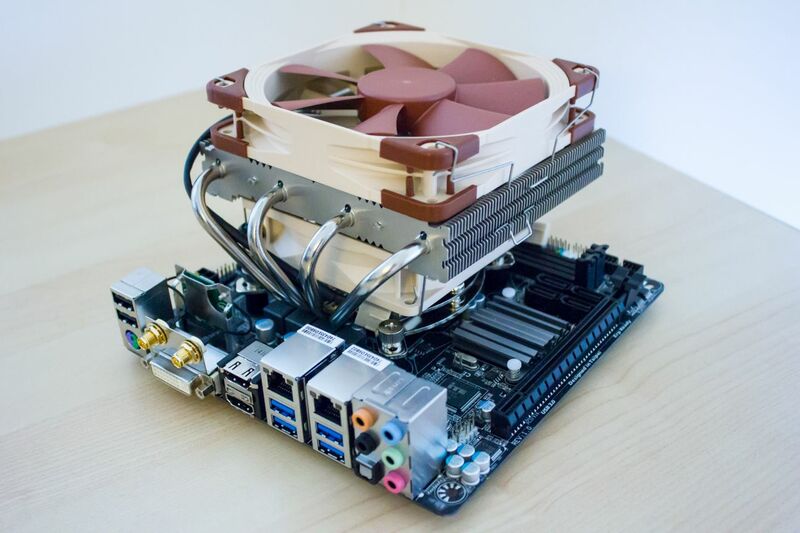 * Noctua NH-L12 only running with the smaller NF-B9 fan. From the results above we can see a correlation between a coolers dimensions and fan size, which shouldn’t come as a surprise. 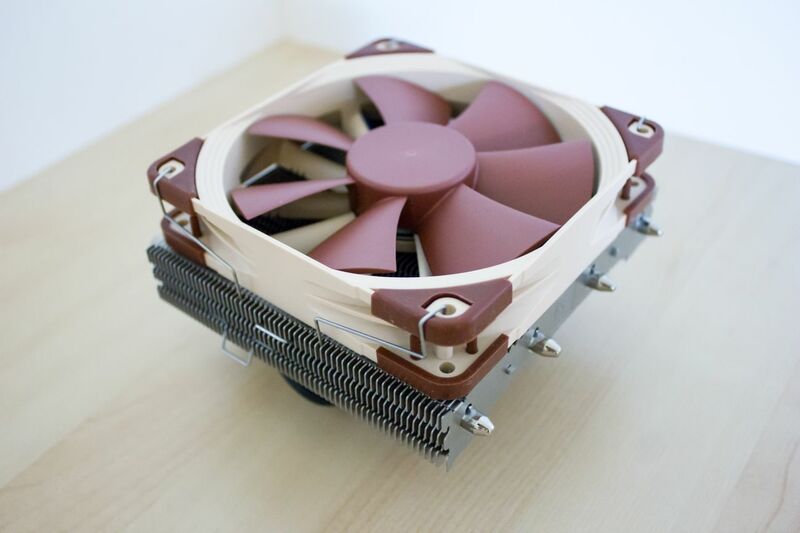 The Noctua NH-L12 is the best performing cooler in both setups averaging at 65 °C / 53 °C. 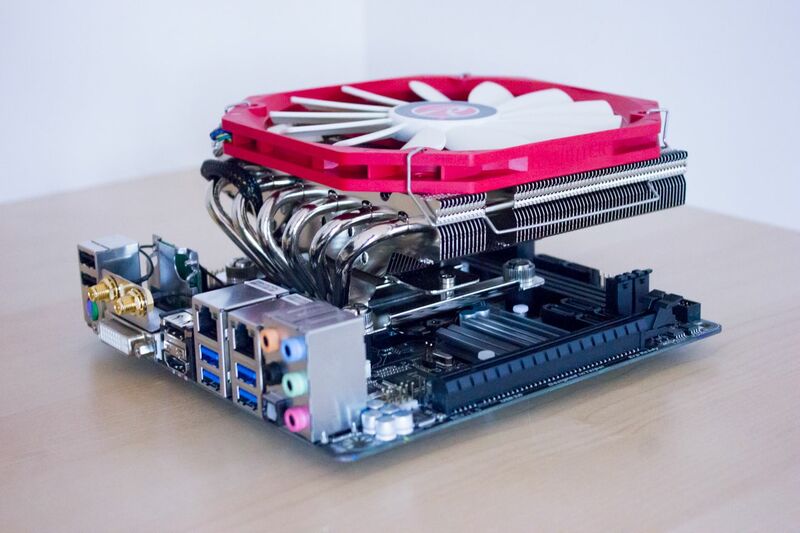 This was somehow expected due to the coolers dimensions and its dual fan setup. The runner up is the rather big, but not as big, Raijintek Pallas averaging at 66 °C / 56 °C which is quite surprising with only one fan. In third place is a very close battle between the Noctua NH-L12 with only one fan (the lower NF-B9) at 68 °C / 59 °C and the much smaller, but more expensive, Thermalright AXP-100 at 70 °C / 59 °C. After an increasement in temperature but a big decreasement in size we find the Noctua NH-L9i at fourth place averaging at 79 °C / 64 °C which we think is quite good for it’s size even though Noctua state the NH-L9i is to be used with maximum 65W TDP CPUs. Last but unfortunately also the least we have the Raijintek Zelos whose test with the i7 4790k @ 4.2Ghz setup we had to cancel due to the temperature exceeding 105 °C. However, for the second test it was averaging at 82 °C, questionable if it’s better than the Intel stock cooler or not. Which cooler is the one for your build? It all comes down to different things. Which cooler will fit inside your case? How much do you want to spend? Do you care about the aesthetics or simply just about the performance? Are the accessories important? While a lot of questions has to be answered we will try to explain what we think about the coolers and whom they might fit. Do you have a lot of place, a powerful CPU, want the best performance, the most premium accessories, comfortable installation and budget is not an issue? 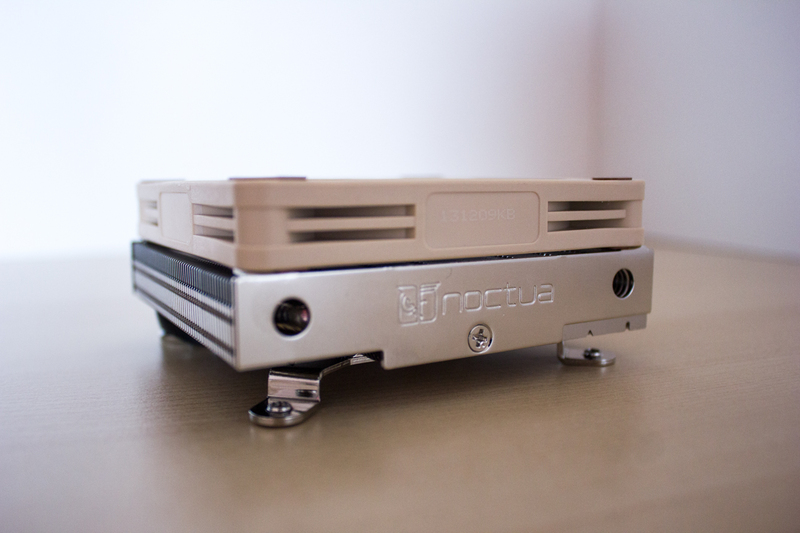 Then the Noctua NH-L12 is probably the one for you. It’s big with a dual fan setup and it will give you great performance with the possibility to alter the height by choosing the fan setup. However, if you can only fit the Noctua NH-L12 if you don’t use the upper fan, or want something cheaper, then you should consider another choice. The Raijintek Pallas is the second best performing and second largest cooler in this article but still the height including the fan is as low (+ 2 mm) as the Noctua NH-L12 without its fan! This makes this option attractive if you want to save space but still have a big and good performing cooler and if you don’t mind the installation procedure. It’s also considerably cheaper. 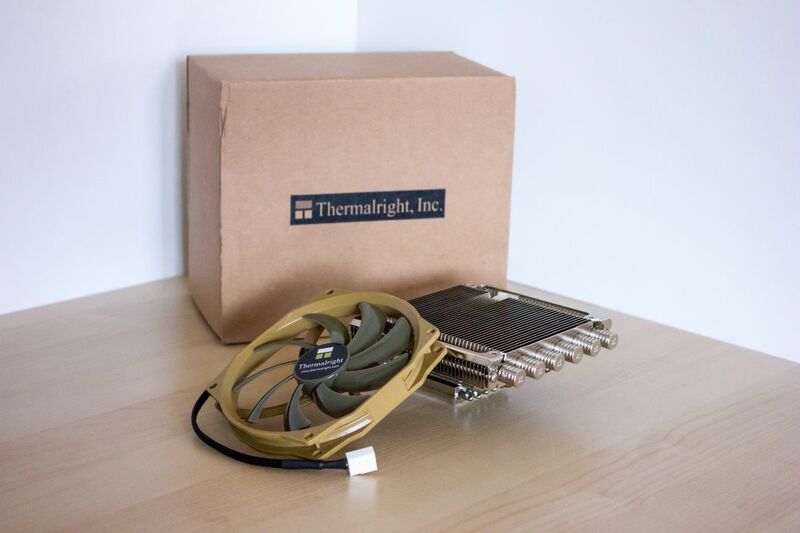 If space saving is even more important in that you are very limited by the dimensions of the CPU cooler, or you don’t need the best performance, then one of the following might suit you better; Thermalright AXP-100, Noctua NH-L9i or Raijintek Zelos. Which one of these would you choose then you might ask yourself? Out of these three, the Thermalright AXP-100 is the best performer, but also the bigger of them. 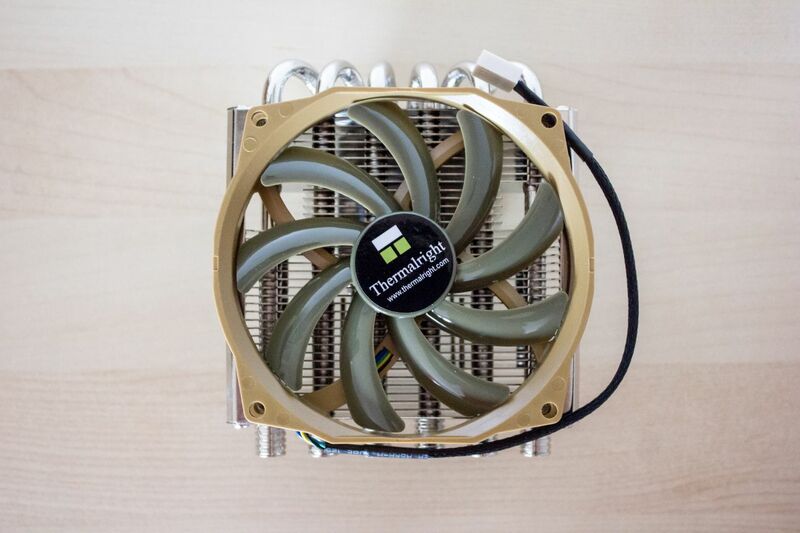 It’s small enough not to interfere with any surrounding components but still manages to keep our i7 4790k within acceptable temperatures making the Thermalright AXP-100 a really nice sweet spot – good performance in a small, but unfortunately rather expensive, package. If even smaller size is even more important (for really small and compact cases) then the only remaining options are the Noctua NH-L9i and the Raijintek Zelos. Even though Noctua NH-L9i is specified to only be used for CPUs with a TDP of maximum 65W, we can gladly say that its perfectly fine to use with our simulated i5 4690k (although a test with a real i5 would be preferable). 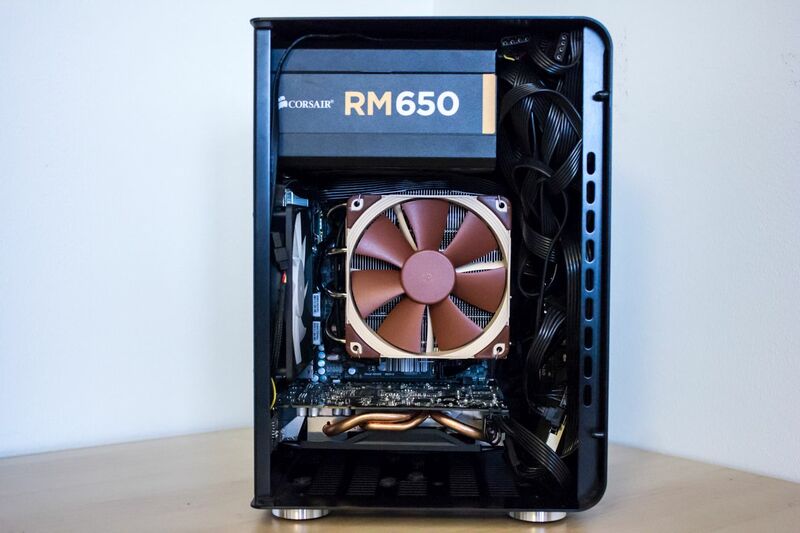 Even though the price is somehow high for a cooler of its size, the performance to size ratio is exceptionally good and a excellent choice for a tiny CPU cooler with some horsepower and with the well-known quality feeling from Noctua. 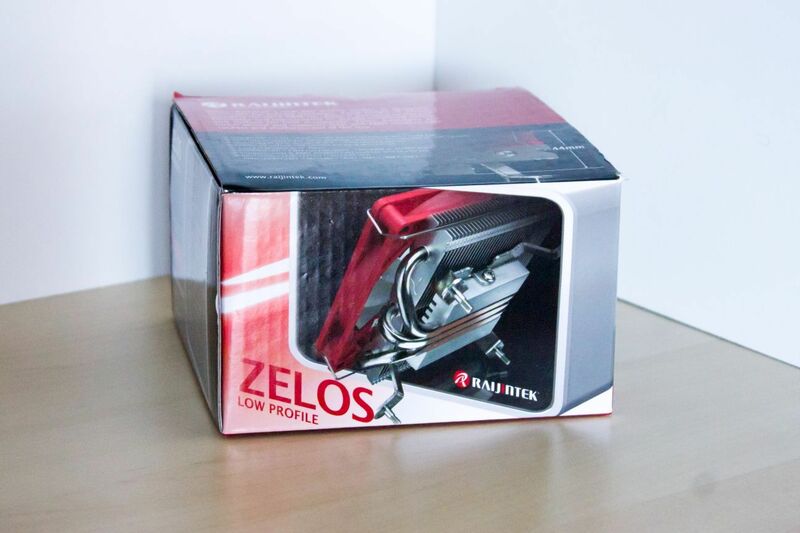 Unfortunately we cannot recommend the Raijintek Zelos in any case as the performance is worse, or on pair, with the Intel stock cooler and not suitable for any mid/high-end CPU. 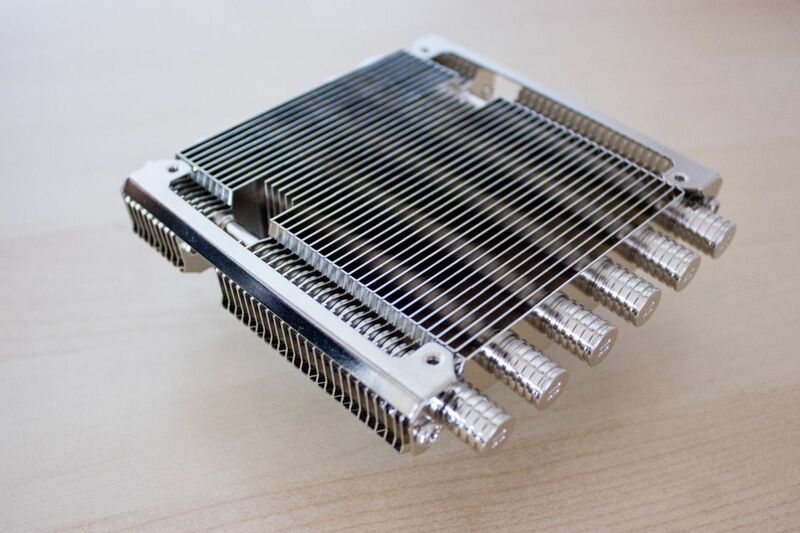 However, it may be suitable for a low-end CPU as a stock cooler replacement, but in our scenario we cannot recommend it. So it all, once again, comes down to what you are looking for and what you are ready to sacrifice – size, performance, budget or something else. But we hope we have been able to help you on the way to what might be the cooler for your next upcoming build. We would like to give special thanks to Thermalright, Noctua and Raijintek for supplying us with the CPU coolers featured in this article. 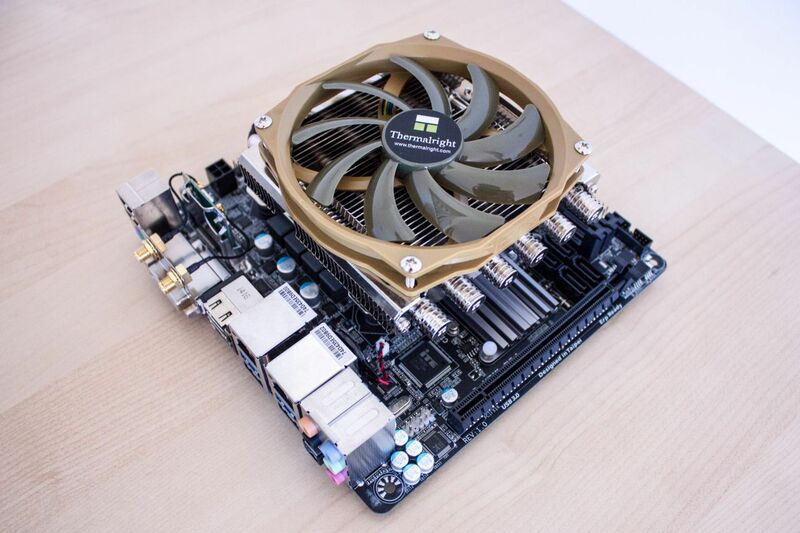 Also a big thanks to GIGABYTE Nordic for supplying us with the motherboard we used in this test – GIGABYTE Z97N-Wifi.